Javelin & b2stjc Adventures in Taiwan. 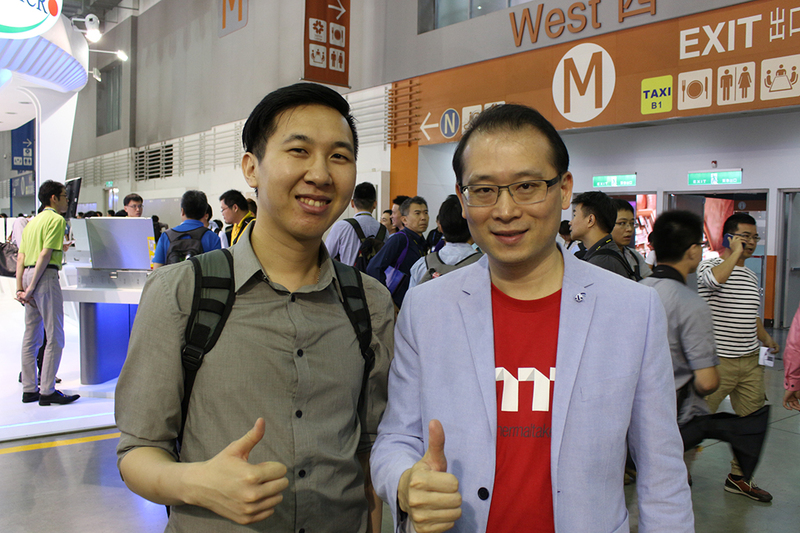 So today marks the first day of my trip to Taiwan, I’m joined with MnM’s Legal advisor Jason “b2stjc” Chan. As promised before I’d like to write a day to day update of what I’ve been up to here in Taiwan for MnM let’s call it a form of a blog if you will, well okay it’s a blog. I caught one of the earlier flights in the day leaving Hong Kong at 10am and arriving in Taiwan at 12pm which left us will a day to explore. The weather has been perfect and truth be told it’s nice to have a change of scenery from the hustle and bustle of Hong Kong. Seeing a nice turf of grass and clear blue sky in contrast to the concrete jungle I currently reside definitely gave a sense of calm. Anyhow the first day has been uneventful in terms of Computex visits since I probably won’t be visting the Tt Booth till Thursday. Though looking at all the posts from the companies at Computex I’m eagerly excited to go so that I can go and try out all the latest gaming tech. Further having seen pictures of the new sleek gaming chairs Tt eSPORTS have come out with, I seriously want to try them out. Who knows maybe I’ll be able to slip one away? I did spend the day exploring Taipei City a little bit but not before checking into the hotel. Myself appreciating the fine choice in hotel. 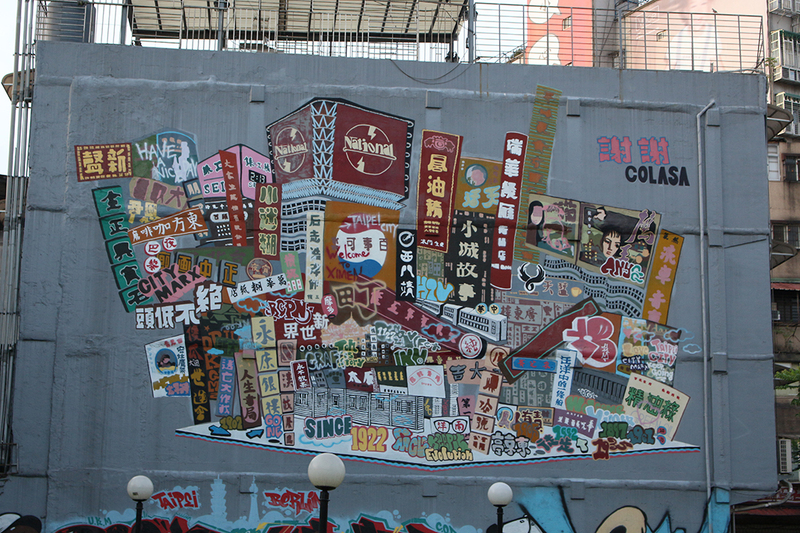 Taipei City has a mix of traditional, old and new buildings randomly mixed with each other. It’s nice to see that culturally significant buildings have been preserved. After setting down our luggage Jason and I headed out to the nearby Ximen where there’s a particularly large shopping district. As we explored and grabbed a little light bites from street vendors we unintentionally stumbled across something down a side street. Jason’s eagle eye spotted a familiar logo on a sign and decided to walk towards it. 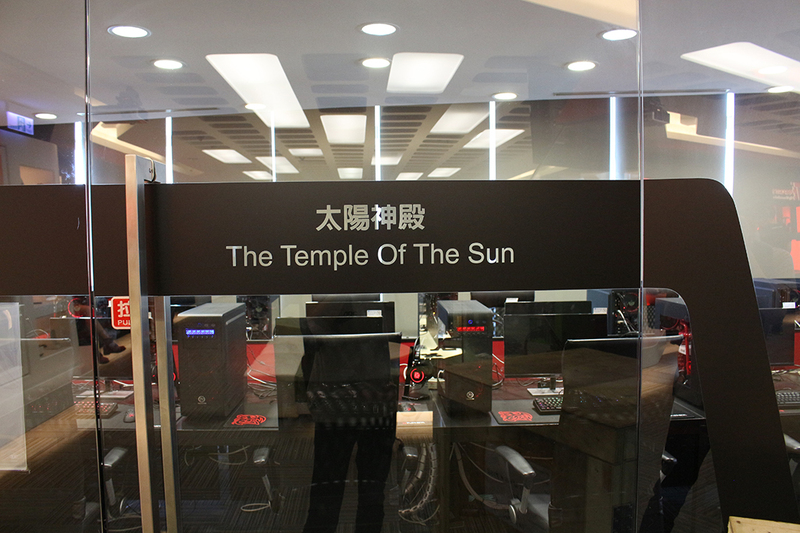 It turns out we happened to encounter Tt eSPORTS flagship store in Taiwan. 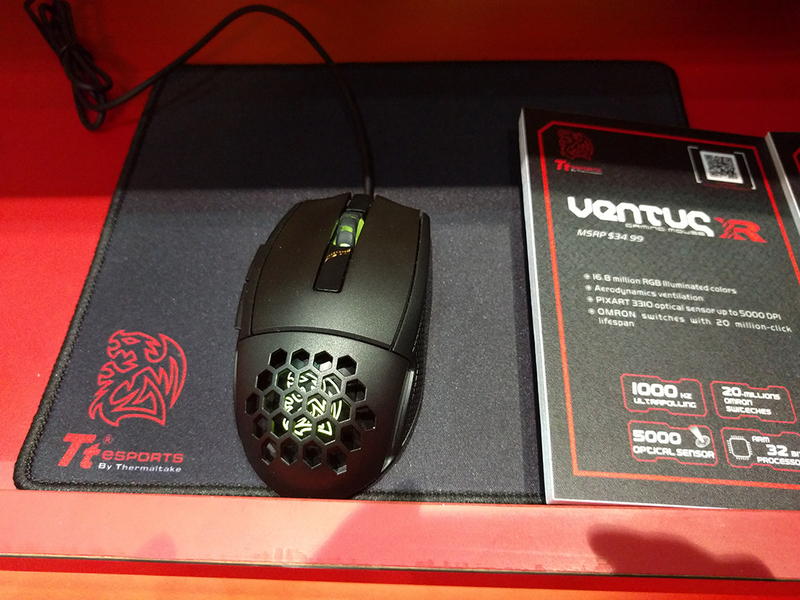 It was actually pretty amazing to get hands onto products I’d merely seen on the web including my personal favourite the Ventus X. I’ll post a little video about it after the trip so that you can also watch me awkwardly fumble keyboards and mice across the store. Accidentally discovering Tt eSPORTS flagship store. The calm I experienced was instantly lost when dusk arrived and crowds of people ventured out for shopping and dinner. 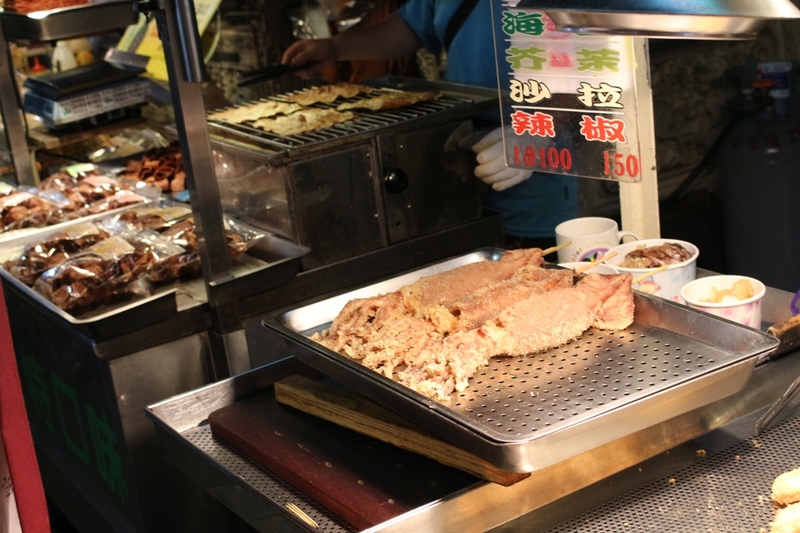 It was at this time that Jason and I decided to head over to Shilin Night Market for some delicious street grub. It was packed and with good reason. There are over 500 street vendors selling food down this one road, all specialising in Taiwanese drinks and delicacies. It’s definitely worth a visit if you ever find yourself on this side of the globe. 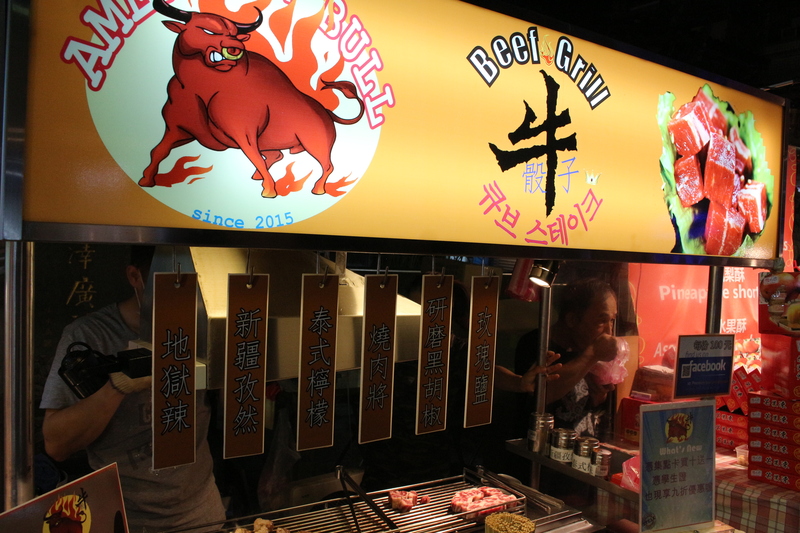 One of the many food stalls in and around the Shilin Night Market. 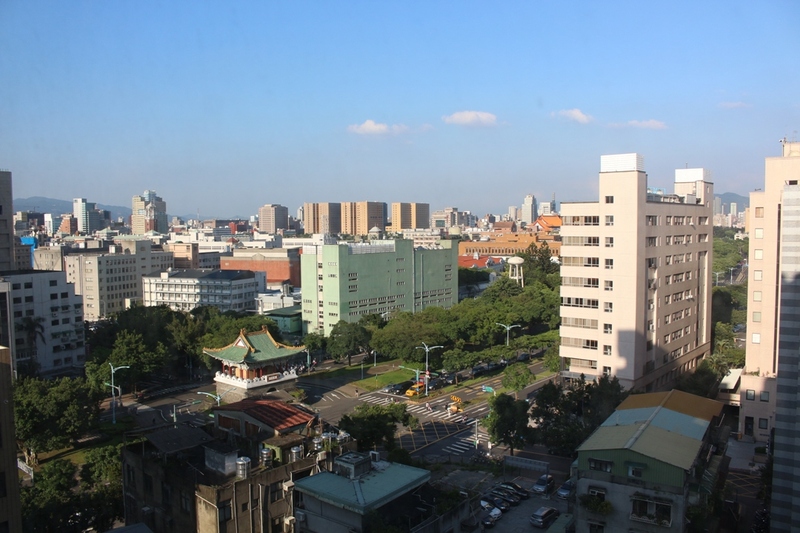 Once we stuffed ourselves full of food (an easy achievement in such a fantastic place), we headed back to the hotel to relax and of course to allow me to have ample time to write a summary of my first day here in Taipei City, Taiwan. As the clock is closing in on 1am, I’ll have to end it here. I’m not one hundred percent sure what tomorrow may bring. 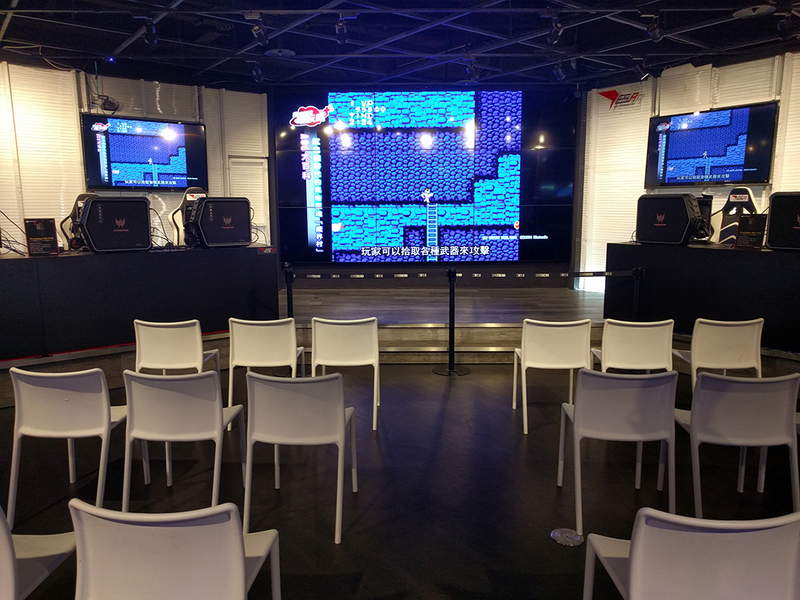 But what I do know is that at 10am I’ll be at Thermaltake’s HQ meeting for the first time the tremendous people who took a chance with us at MnM. I’ll be sure to take many pictures and videos and will continue to update this page as the days go by. 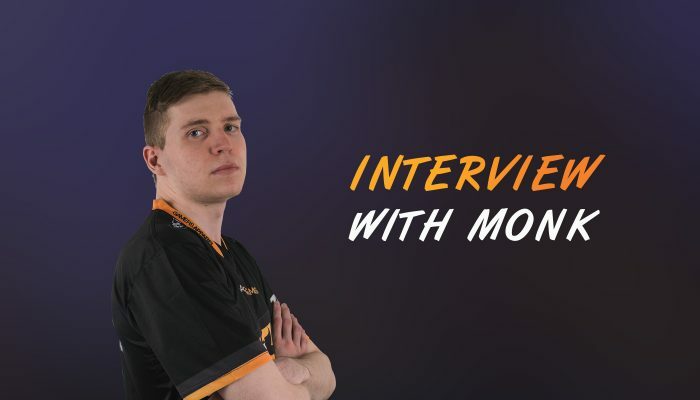 As always if you have any questions feel free to ask via my twitter @JavelinCS. Today we had an early start with a scheduled visit to Thermaltake’s Headquarters where I’d be meeting Johnny (Product Development & Marketing Director) for the first time. The morning was met with once again clear skies and bright light flooded through the windows when I opened the curtains. On the journey to Tt we saw many buildings belonging to familiar brands such as nVidia and BenQ. 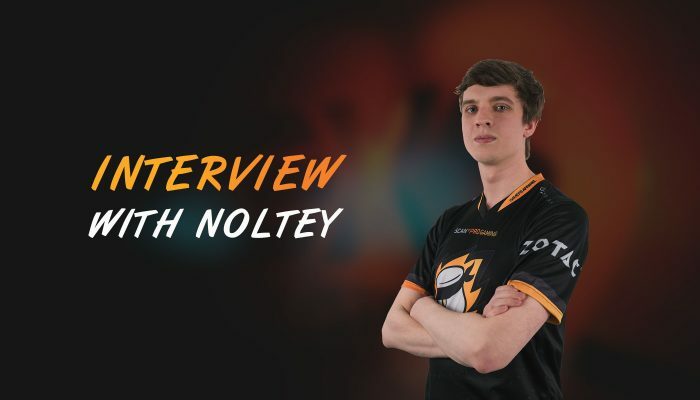 As someone who’s always loved the latest products geared for gaming, it was amazing to know I was at the heart of companies that were equipping and enabling the eSports scene. Arriving at Thermaltake’s headquarters, we were greeted by the front receptionist. Whilst waiting for Johnny we saw that Thermaltake not only had one floor but three whole floors in this large office building, a clear sign that we were in the global headquarters. After meeting Johnny for the first time, we were led to the showroom where many of Tt’s products old and new are on display. 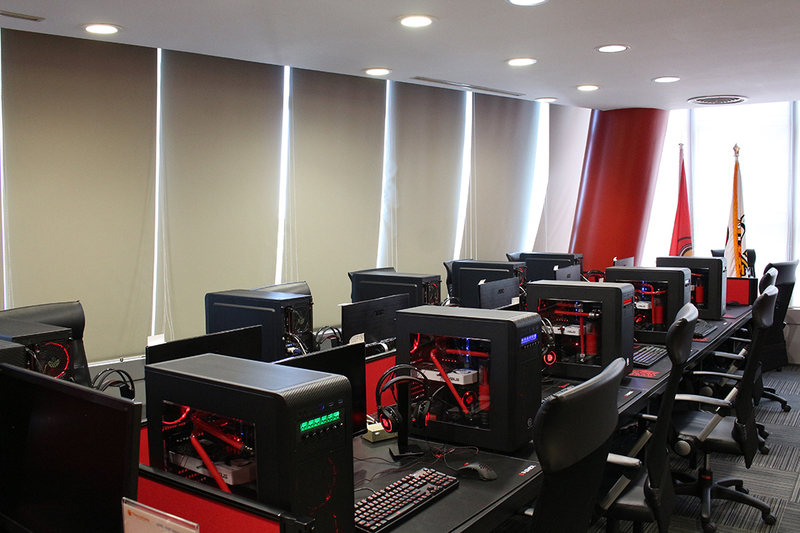 Even more impressive is “The Temple of the Sun” room where a dozen Thermaltake/Asus PC’s have been set up for competitions and training for organisations in Team Tt eSPORTS. 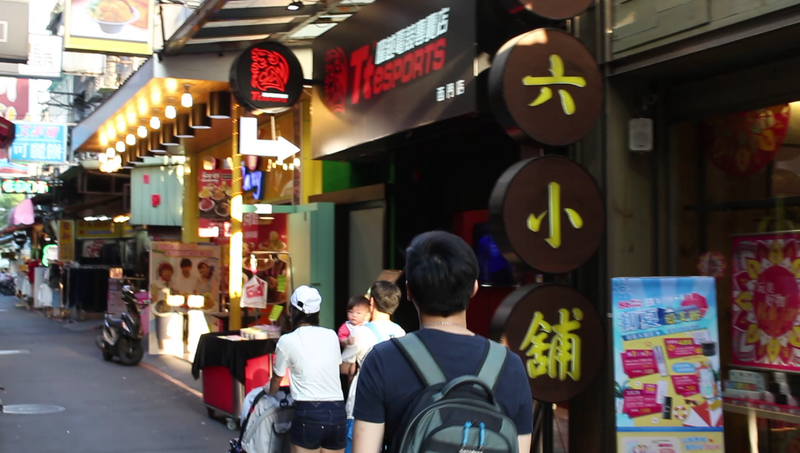 After leaving the Thermaltake HQ we decided to explore Taipei a little further. 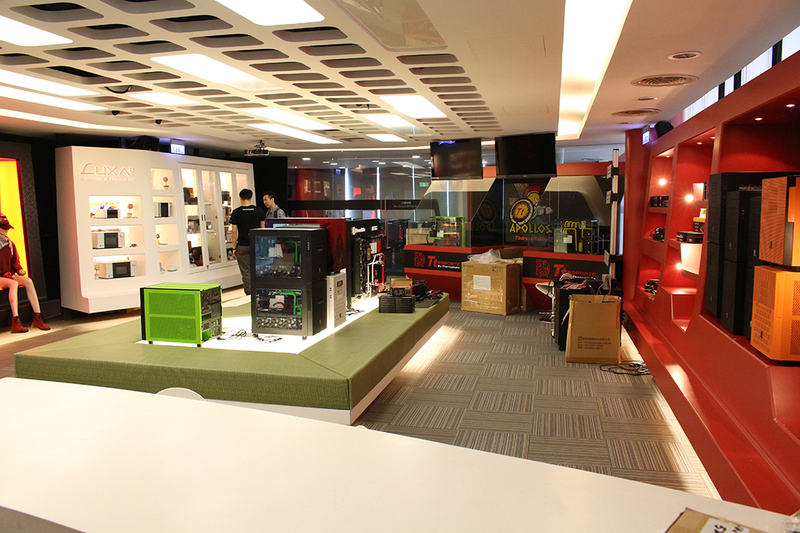 Johnny had recommended that we visit a place called Guang Hua Digital Plaza a building dedicated to independent shops selling anything related electronics. Imagine a contemporary food market except instead of selling food vendors are selling electronics and that would be the closest description I could provide for you. The journey from MRT station near Guang Hua to the building itself was filled with stores selling only electronics a sign that we were in the right direction. It wasn’t until afterwards when we went next door to the Syntrend Creative Park that we saw some of the bigger more extravagant stores from the main electronics brands. On the first floor was something I never expected, an intel store where they had a centrally operated model house, a racing simulator amazing setups demonstrating the VR experience. I obviously couldn’t pass up the opportunity to have a go myself! On the second floor was the Razer Store where they obviously had products on display with a handful of systems open for anyone to try the products. But what was particularly eye opening about this was the fact that many of the people on these stations were young kids from school playing league of legends during what I assume is their lunch break. On the very same floor opposite to the Rrazer store was an area where there was an eSports stage and huge screen on display. Presumably show matches take place here with an audience in view. I think that this is an example in that further reinforces the difference in cultural attitudes towards eSports between Taiwan and say the UK. Sure the UK is developing eSports but seeing it in a matured setting where eSports was actively nurtured was truly enlightening and refreshing for me to experience. 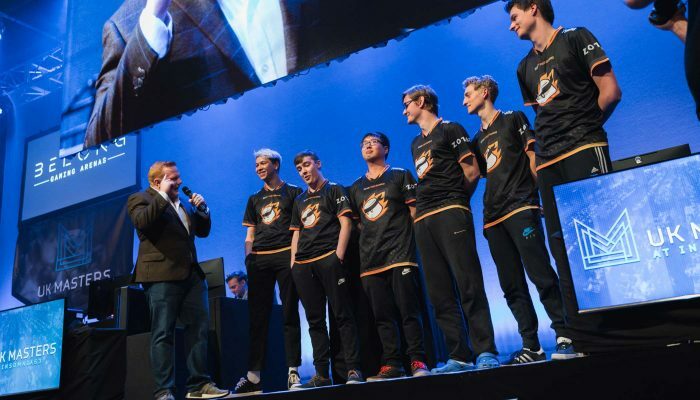 If the UK is to become an eSports powerhouse the country’s cultural perceptions towards eSports will need to change so that we nurture those pursuing eSports. A miniture eSports arena in the middle of a mall! After we had done exploring we headed back to Ximen because of the many eateries there, there was so much choice that I couldn’t decide a paradox of choice if you will. In the end Jason and I ended up having a very exorbitantly sized piece of chicken followed by some very tall ice cream. Subsequently we decided to call it a night and rest for more exploring the following day! Just some pretty cool graffiti which I thought I’d share with you guys! Yes, I really wanted to see it for myself because like Kalvin had mentioned in a personal facebook post. When we started Molotovs and Marshmallows back in 2013 we never expected to get so far that our logo would have the honour of having a place at Computex. Of course I would very much like to thank Thermaltake who made this possible and I cannot say enough, take a chance on us. Anyhow let’s continue on! 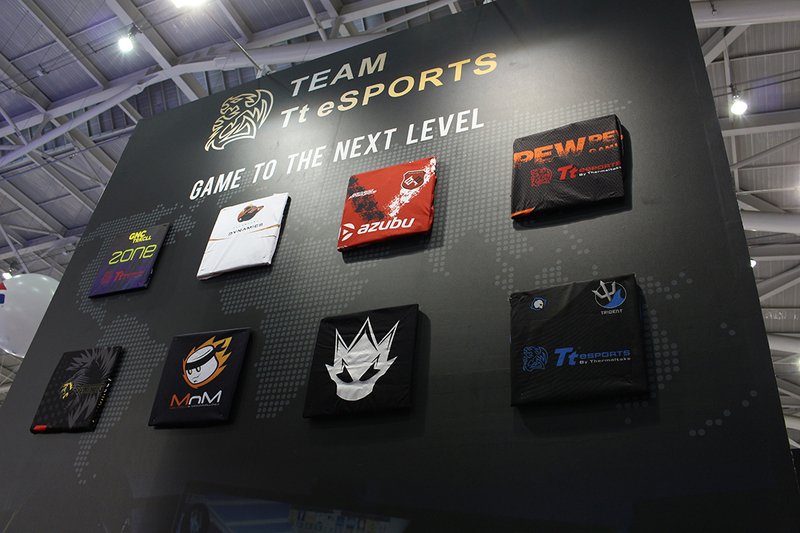 MnM logo on display at Thermaltake’s booth. So I decided to do something I hadn’t had the chance to the day before and that was to start the day with some traditional Taiwanese breakfast. I forgot to mention that food here is incredibly cheap, with a delicious breakfast of shallow fried spring onion pancakes, two bowls of fresh soy bean milk, a bun and a egg pancake costing merely TWD$ 89 or less than £2.00. After breakfast we headed over to Nangang Exhibition Hall to meet the guys from Thermaltake who had travelled from all over the world to Taiwan just for Computex. 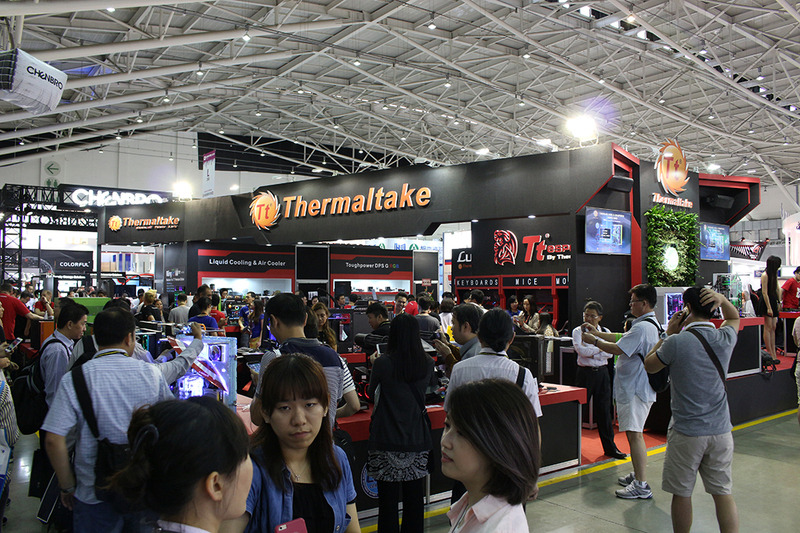 What’s exciting is to see the lineup of new products that have been announced by Thermaltake. No this isn’t a sponsored post where they’re dropping a ton of things to make me promote it.  Tt haven’t even really suggested it. More rather I’d love to share my experience that I had trying it out or looking at it for the first time. Cronos and Cronos AD RGB. Both headsets have come with an upgrade, the Cronos RGB has been fitted with 7.1 Virtual surround sound and I must say that for the price point, it is a nice buy. What’s definitely worth a try is the Cronos AD RGB which I personally feel is a little more durable and packs some more features than the standard Cronos RGB. Features such as bigger drivers, comfort and noise cancelling microphone are ones I’d probably look for in a headset especially if I live in a noisy home, which of course I do. Black V2 with the Touch sensor. The fingerprint sensor on the Black V2 mouse. This was a product I completely didn’t expect to be in the exhibit, but Tt eSPORTS have integrated a fingerprint sensor into a revision of the Black series mouse. From what I can remember you can use the fingerprint to log into the Windows OS as well as numerous sites that support it. I’ll admit I’d vote for not having to remember the numerous passwords required to log into any account anywhere on the web. I’m sure you would too! Dasher RGB, and Draconem RGB. 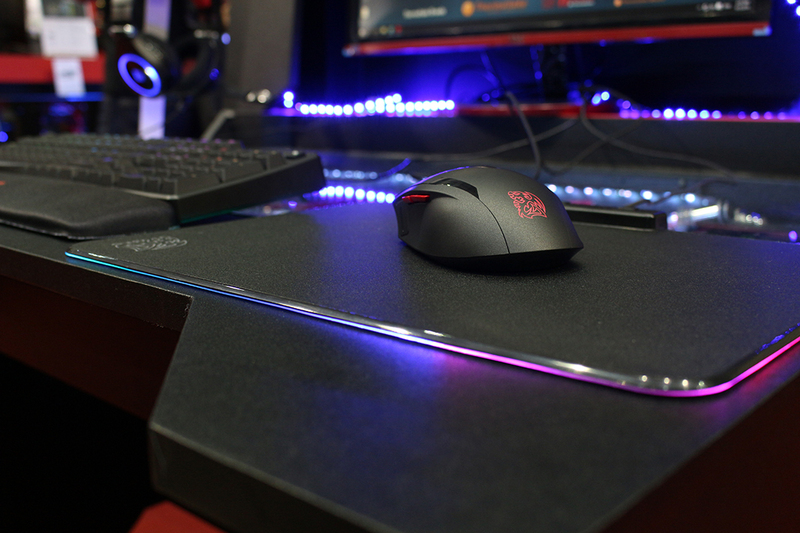 The Draconem RGB mousepad with the Black Fingerprint Mouse. I know RGB is sort of the trend amongst users at the moment but I must say I never really thought that a mouse mat could have RGB incorporated into it mainly because I really wouldn’t have known how it would have been done. Nevertheless for those who love the options of customisation the addition of these RGB mousemats will definitely give a more complete satisfying feeling to your setup. 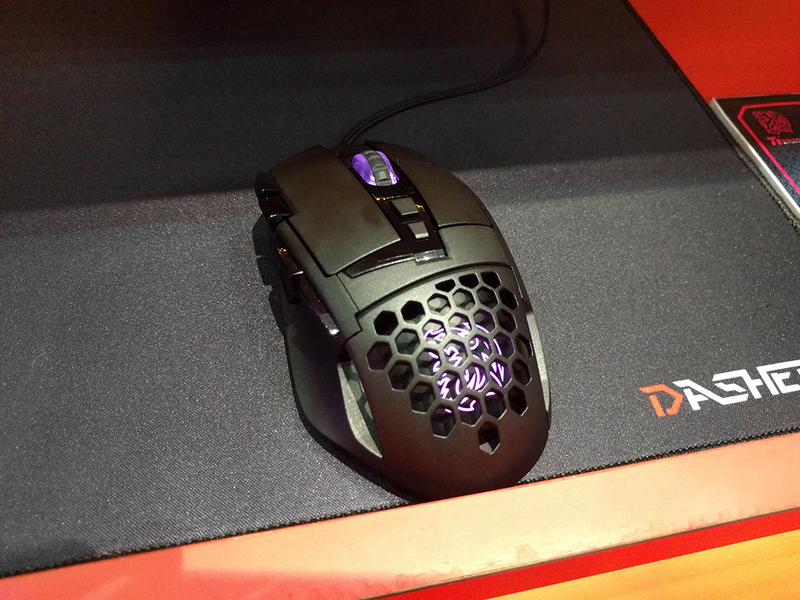 Computex saw the announcement of new products to probably my favourite range of mice from Tt eSPORTS. Tt’s latest offerings in the Ventus Series looks to capture all ends of the market by offering a smaller entry level mouse the Ventus R and the high end Ventus Z. In my opinion the Ventus R, which sports a pixart 3310 optical sensor, is probably best for those with smaller hands or a claw grip as it was too small for my liking. 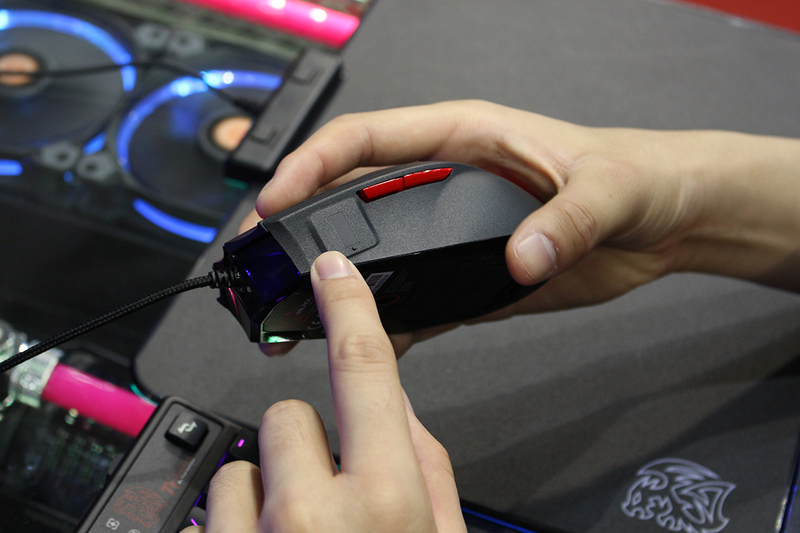 The Ventus Z which features the Avago 9500 laser sensor has a shape more suited for a palm grip, but obviously choosing a mouse is always down to personal preference. 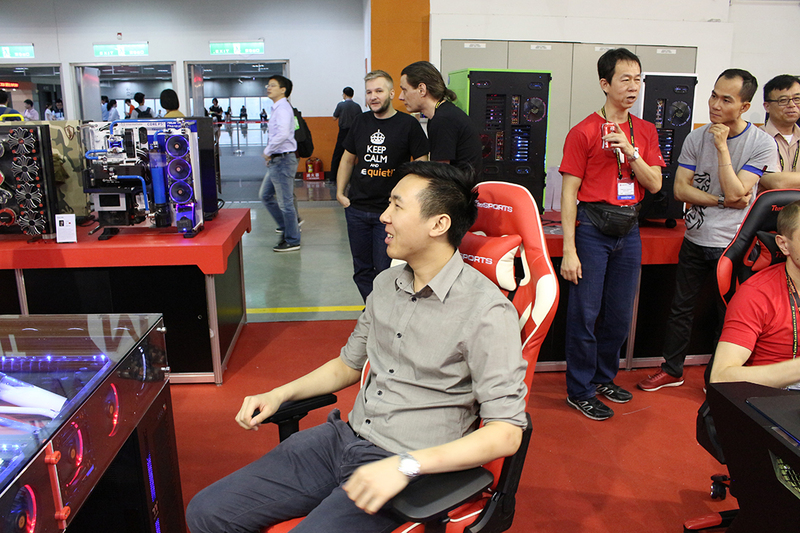 A new category of product that Tt eSPORTS will be stepping into this year is gaming chairs. Debuting at Computex the chairs are aimed to compete with the established brands without excessive costs. I.e. the chairs are will be a fair amount cheaper without sacrificing on comfort. Obviously the product isn’t finalised yet however it’s expected to be released in Asia by the end of this year before gradually being released to other markets. Above: Mingkei head of UK Sales. 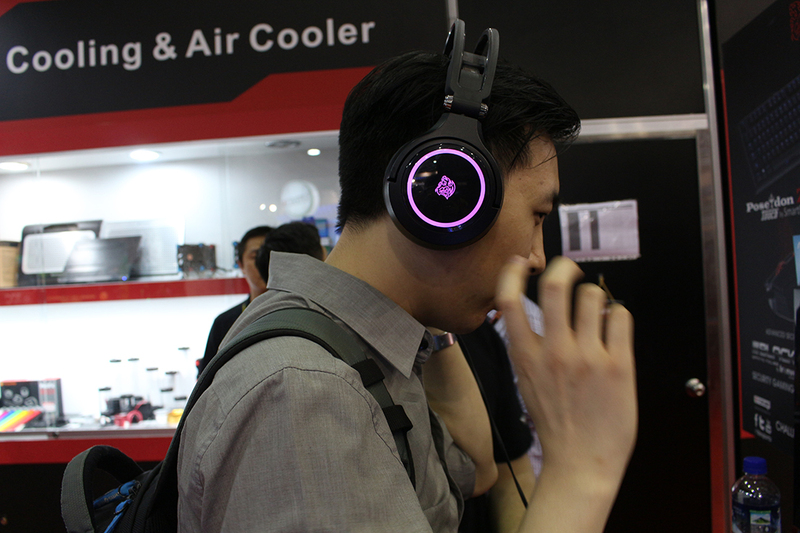 Below: Kenny Lin Thermaltake CEO. Aside from the products I managed to meet numerous Heads of Sales for different regions covered by Tt eSPORTS, Martin the Europe Marketing Manager from the branch office in Germany , Long Long Zeng from Spain and met Minky head of UK sales. 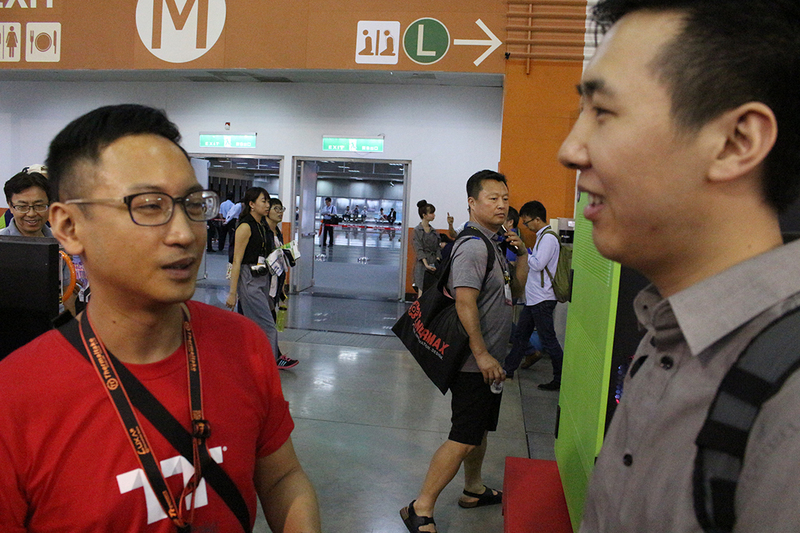 I even got to meet the CEO of Thermaltake Kevin Lin (pictured below). 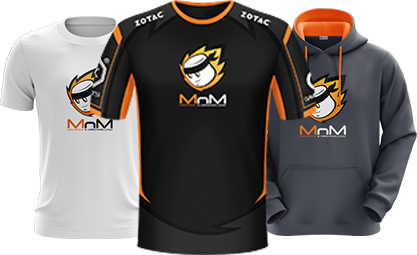 Though of course I think the biggest highlight for me was seeing the MnM logo having a place amongst the Thermaltake exhibit. 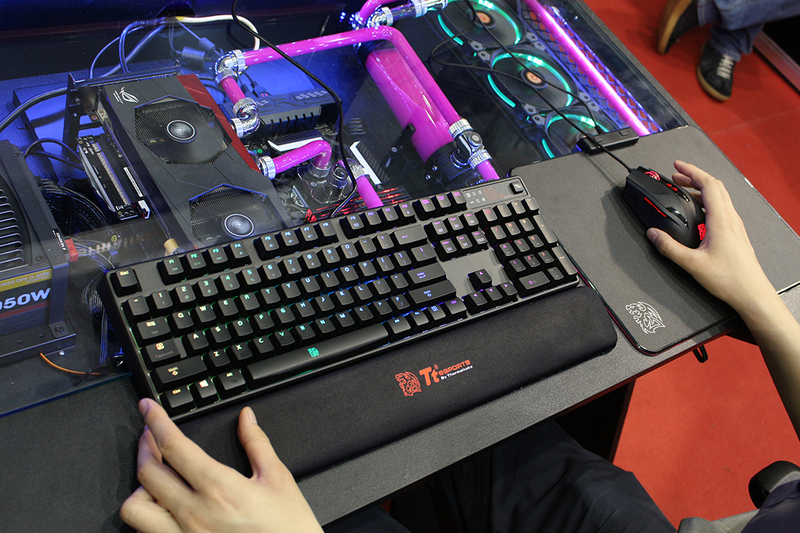 After visiting Thermaltake’s booth I definitely couldn’t pass on the opportunity of exploring the other exhibits at Computex. Overall I would definitely say it’s a techies paradise with a huge array of the latest offerings out on show. 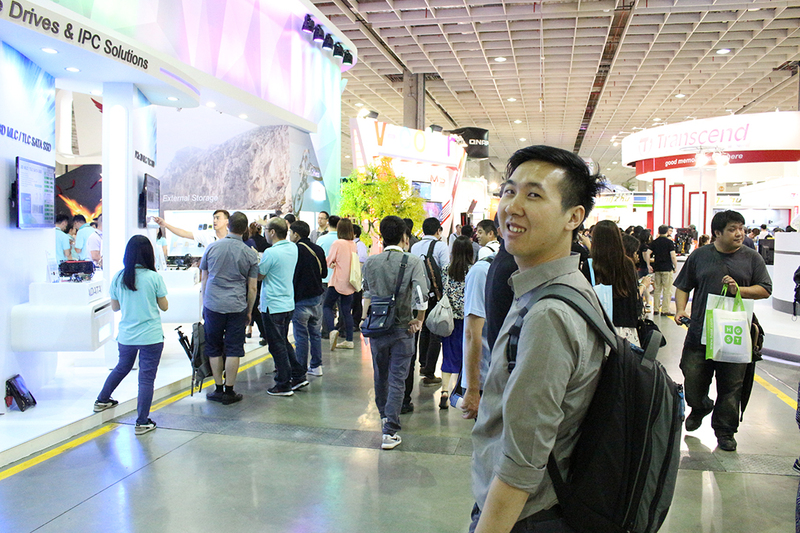 I could probably get lost in time for days in the exhibitions at the Nangang Exhibition Hall, never mind the others! What was a very prominent theme or attraction this year was VR demos pretty much any company that had anything remotely closely related to gaming had one set up. But my word did it draw in the crowds. Probably the most intricate one I saw was the demonstration from Coolermaster where they would rig you up to apparatus to imitate a free fall whilst a skydiving scene was playing in the VR headset. There is too many to list in here, all I can really say is that if you ever have the chance give Computex a visit. 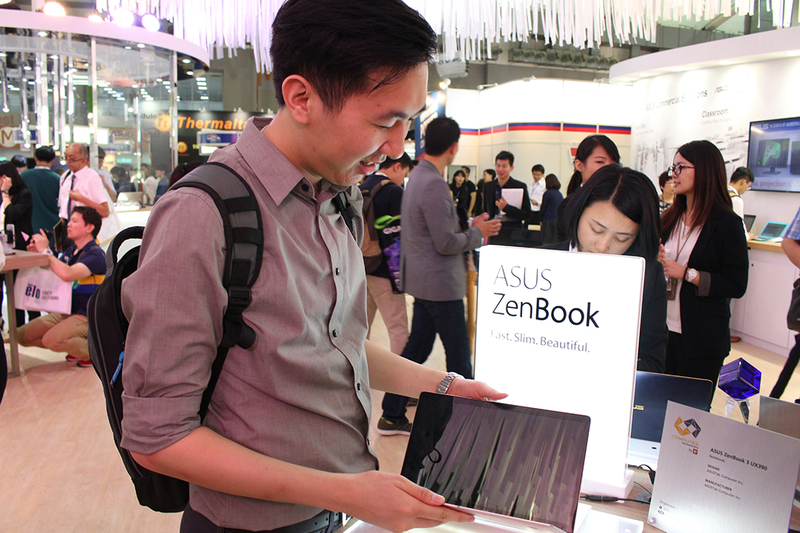 Above: Javelin couldn’t believe how light the Zenbook 3 was. 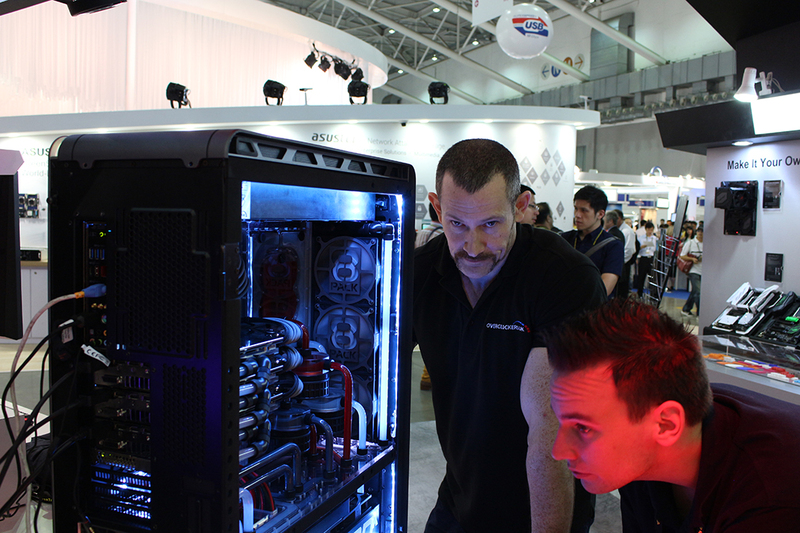 Bottom: Monster rig featuring OCUK’s iin house overclocker 8Pack! It’s definitely been a fun little adventure to Taiwan and I’d definitely love to go again. 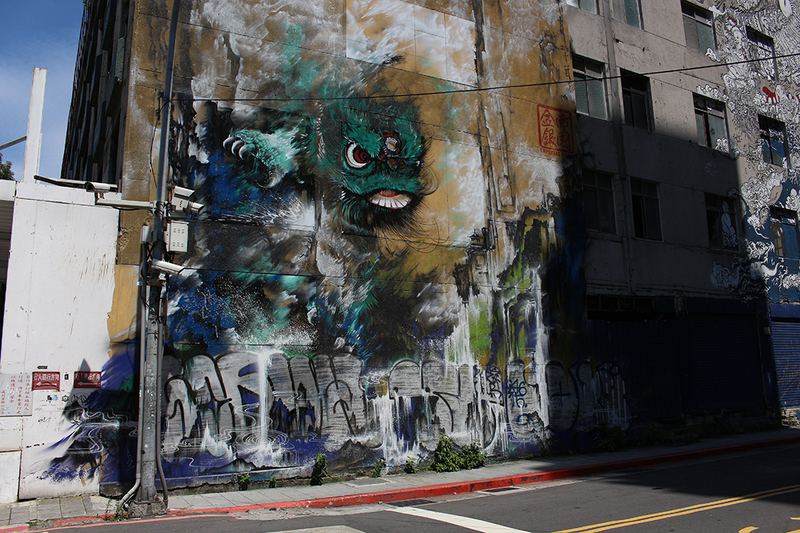 The time I have got here I would say has been to little to explore every nook and cranny of Taipei City. But that’s the way the cookie crumbles (thanks Hollywood I knew you’d be useful someday). Till next time fellow marshmallows!